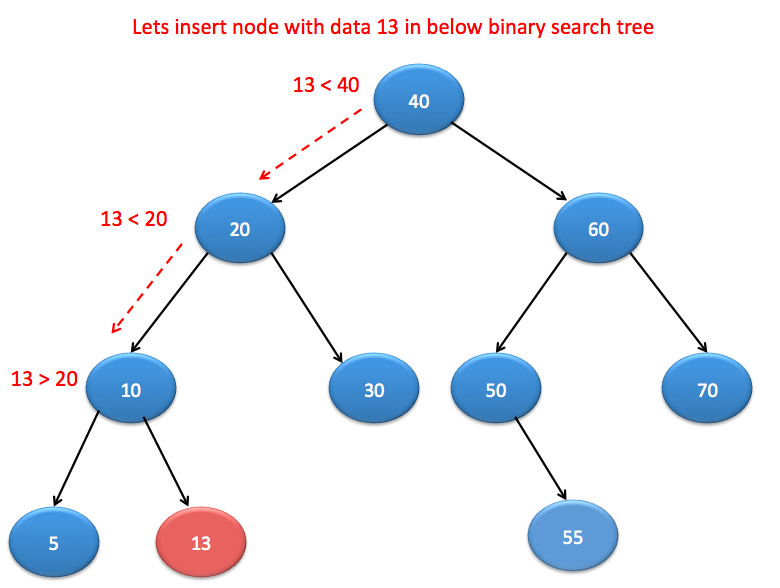 Binary search tree is a special type of binary tree which have following properties. 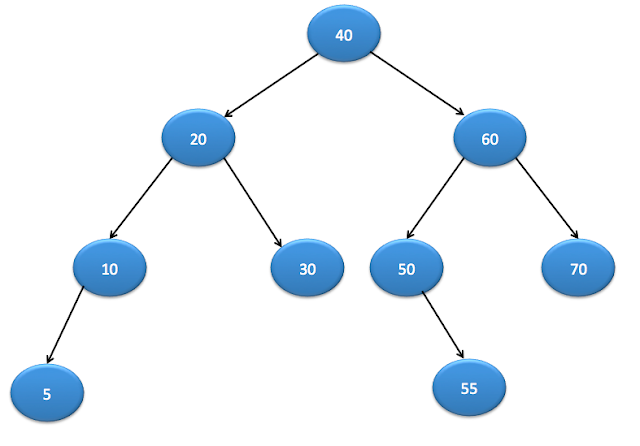 Nodes which are smaller than root will be in left subtree. Nodes which are greater than root will be right subtree. Both left and right subtree also should be binary search tree. 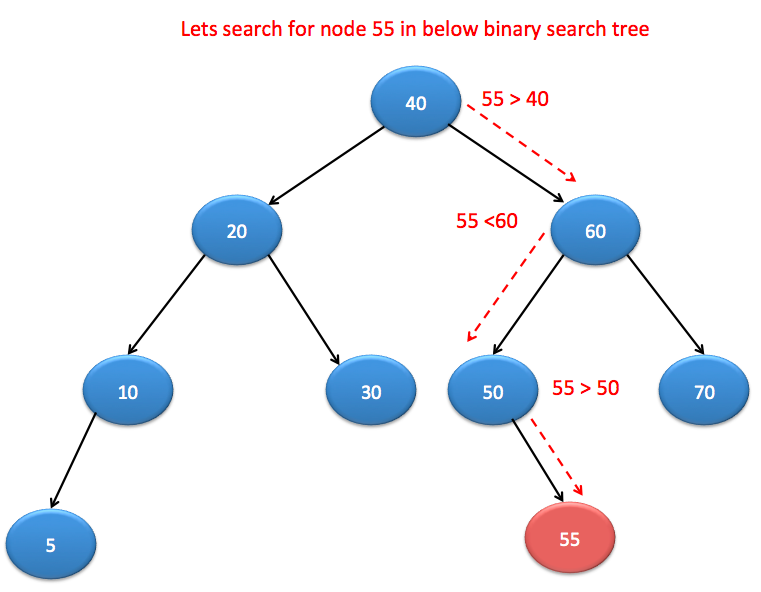 Searching a node in binary search is very easy. You just need to traverse left (if smaller) and right (if greater) according to value to be found. If node to be found is smaller than root , then traverse left subtree. Repeat above steps recursively until you find the node. Insert node operation is also easy operation. You just need to compare it with root and traverse left (if smaller) or right(if greater) according to value of node to be inserted. If it do not have right child, insert node here.